As you may know, I live with my parents. It's not my proudest confession. It's not like I've never lived on my own...I went away to college and when I graduated, I came back and lived with my parents while working and saving money. Then I decided to go to graduate school in Scotland and spent all the money I had saved so when I graduated, I had to come back home again to save money. That's where I'm at right now. I'm hoping 2013 is going to be a big year for me. One of my goals is to move out and find my own apartment. The problem? I live near Washington, DC - one of the most expensive cities to live in! I'm going to be paying a lot of money for a tiny space. I have already begun using Pinterest to scour ideas for how to save space. I'm hoping to have a lot of fun this summer coming up with space saving ideas and crafty ways to redo furniture we already have. I'm really excited of the prospect of refinishing furniture for the first time. One problem I know I'll be facing is what to do with all of my books!? I LOVE reading. I also like to keep all of the books that I've read. Here are some great ideas I've already pinned on Pinterest to keep in mind. 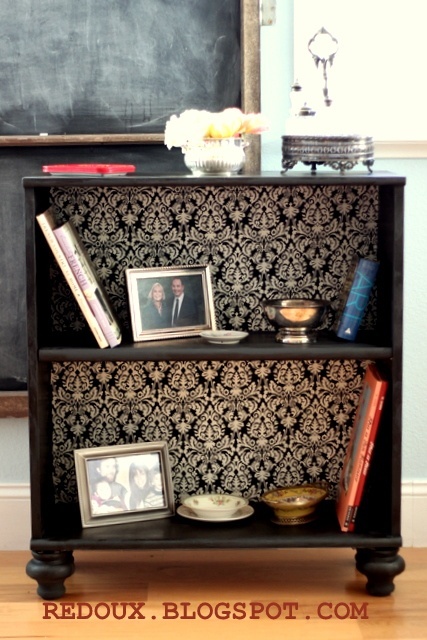 I LOVE this idea of adding wallpaper and feet to a cheap bookshelf to spruce it up. I've got an ugly, plain Ikea bookshelf in my room that could use this upgrade. How awesome is this bookshelf that's just made from a couple supplies from your local Home Depot/Lowes? It looks like it's just some wood, trim, and rails. 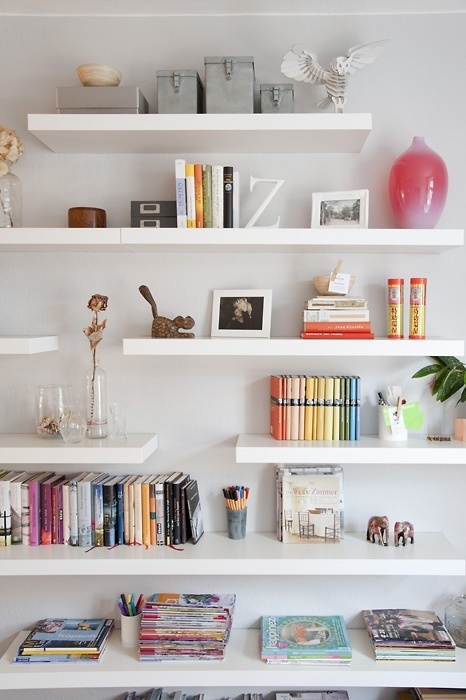 I also love the idea of floating shelves like these. 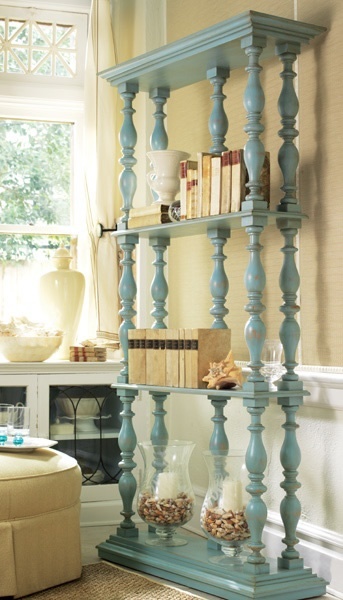 With floating shelves, you don't have to take up any valuable floor space. 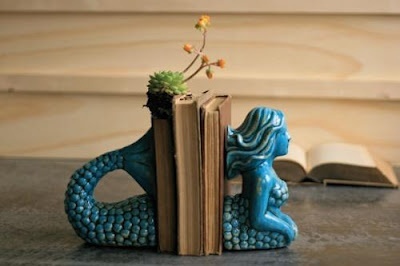 With floating shelves, you'll need some cute book ends to make sure they don't fall over! I love this mermaid one. The store they come from looks pretty awesome. Too bad they're so expensive! Anyone know ceramic sculpting? I could even make my own to save some money. 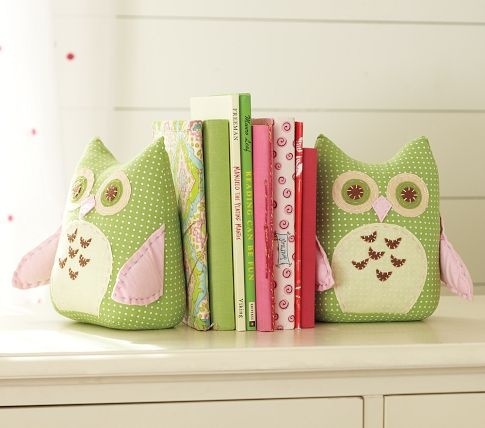 These are little owl ones from Pottery Barn Kid. I feel like I could recreate that. Do you live in a tiny space? What do you do to store things like books? Be sure to follow me on Pinterest for more tiny space ideas! Dianna, I think graduate school in Scotland is worth a few months with Mom & Dad!!! I know you'll be happy to have your own place soon. And planning and Pinterest shopping now is fun, isn't it? haha I've been living with them longer than I was in Scotland! I had a huge unemployment battle though (but it led me to crafting!). You're right, Susan - I've been having a lot of fun planning! I'm glad that Pinterest shopping is free! !